Did I forget to mention the other secret ingredient? Can you feel it radiating from my baking sheet? Sunday Morning Pick Me Up #12. Follow the gluttony on Instagram. 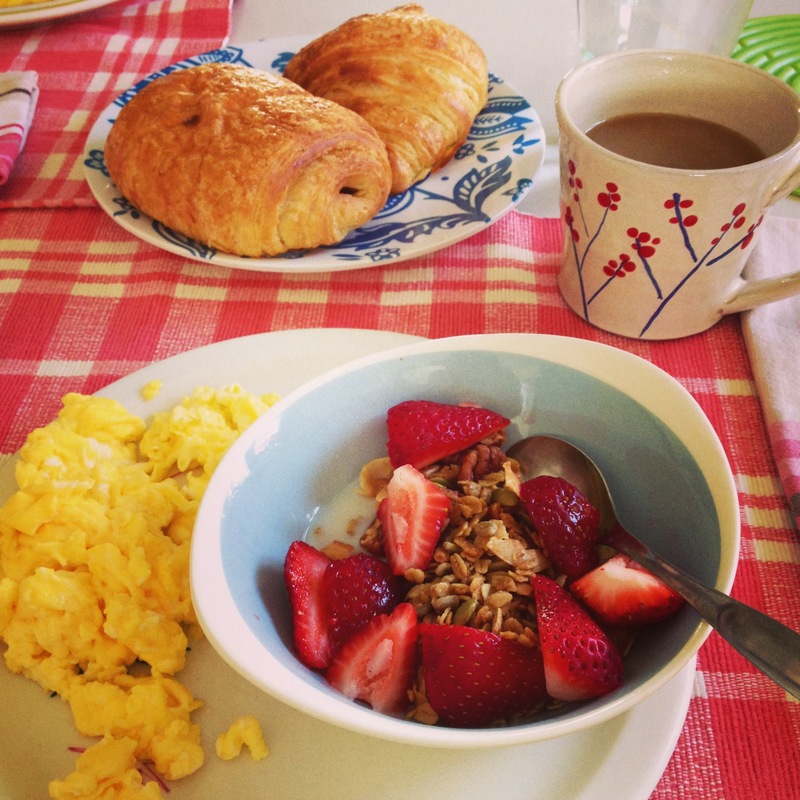 This granola is on regular rotation here at Casa Hobo. Dubbed “Farmhand’s Choice” by its creator, Nekisia Davis, the secret synergistic ingredients are maple syrup, olive oil, and sea salt. Trust me on this combination! Anyone I’ve fed this to always asks for the recipe, which was featured on Food52. I like to use a little less oil , but make up for it by being heavy handed with the pepitas and coconut. Substituting in hazelnuts is also pretty divine. 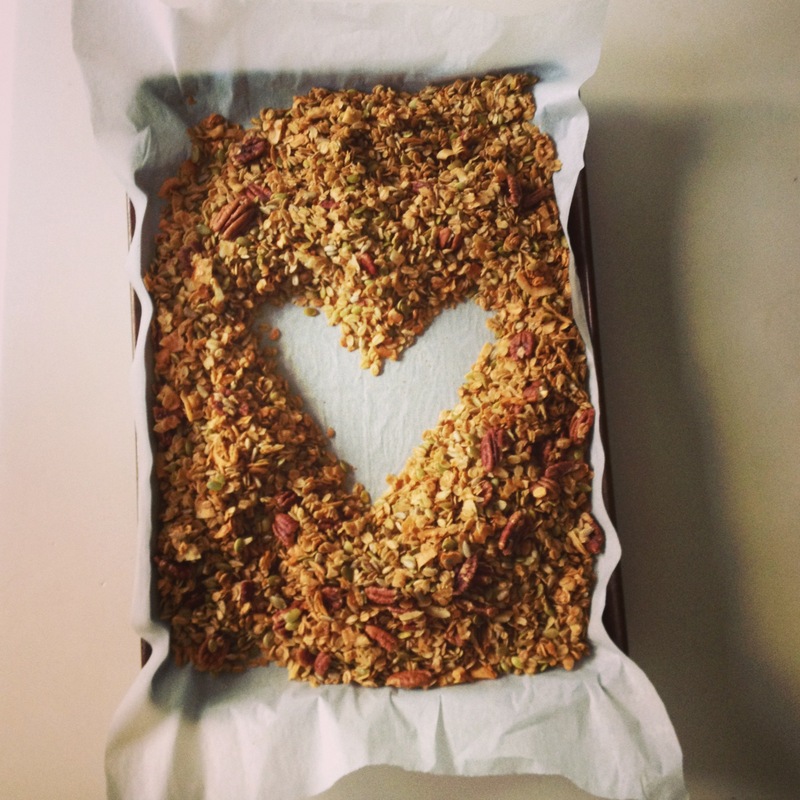 Making a batch of this granola is the best kind of aromatherapy, in my opinion! You can find out more about Nekisia’s other products at Early Bird Foods. 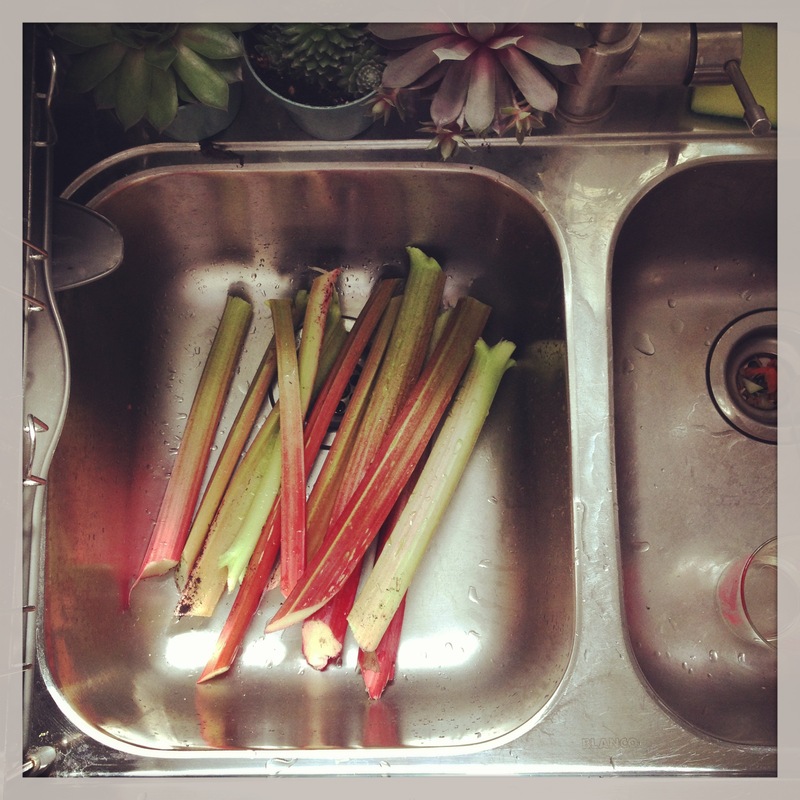 First of the season: Pink Jam! My rhubarb plant sacrificed itself to the canning gods this weekend, supplying me with the raw materials for this Rhubarb-Rosemary Jam. It’s a recipe that has been on my roster ever since I got the preserving bug a few years back, and a hallmark to the start of summer ! Today, I got my kicks dressing these guys up to give as gifts. 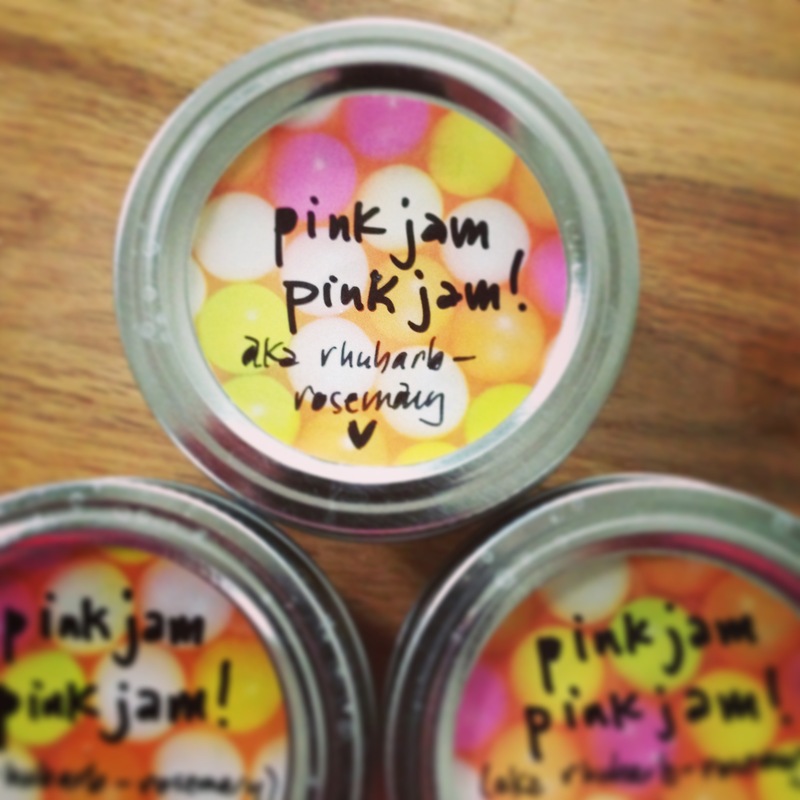 It’s almost as much fun as making the jam , and definitely less messy! Now that the garden is finally getting some sun, I am looking forward to having a robust, home-grown supply of fresh rosemary. Its herbal, sharp character is a welcome addition to version 2.0 of a recipe that has been in heavy rotation at Casa Hobo lately. 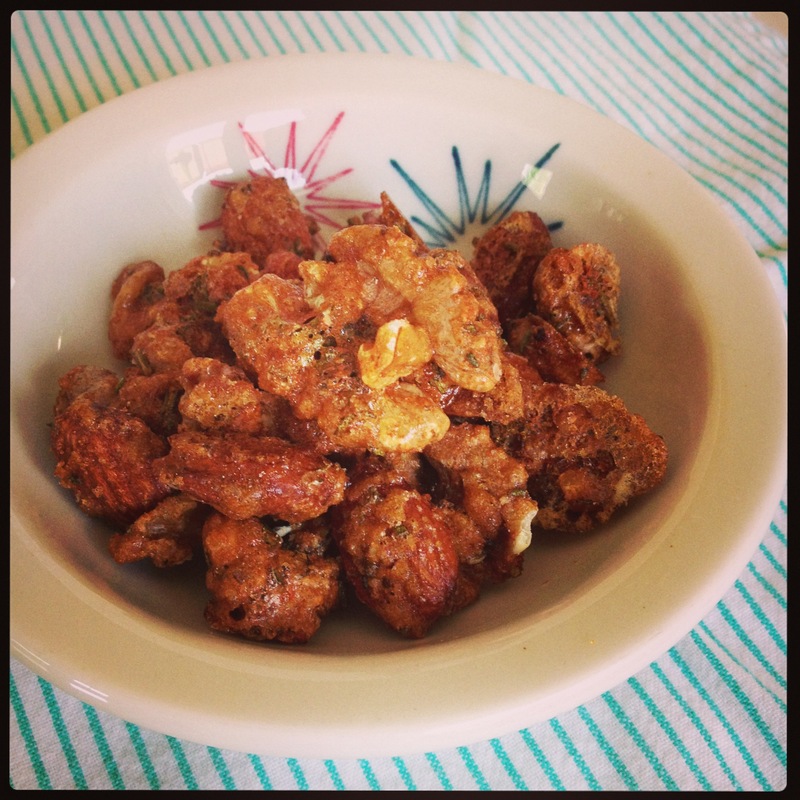 A combination of my favourite elements of the Union Square Cafe Bar Nuts recipe and Dorie Greenspan’s Sweet and Spicy Cocktail nuts, I hope you’ll like them as much as I do. These are best accompanied by a lazy afternoon on a sunlit porch, a couple of friends, and some vino. Preheat oven to 300 degrees F and set oven rack so that it sits in the middle. Lightly beat egg white in a medium bowl. Stir in nuts until evenly coated. Combine brown sugar, rosemary, salt and cayenne. Add to nuts and stir to combine. Lay nuts out in a single layer on a baking sheet that is lined with parchment or a silpat. Bake 25-30 mins. Allow to cool – nudging and breaking them apart before serving or storing.